The startup is trying to get its Corvae patch for heart monitoring into hospitals and clinics all over America. 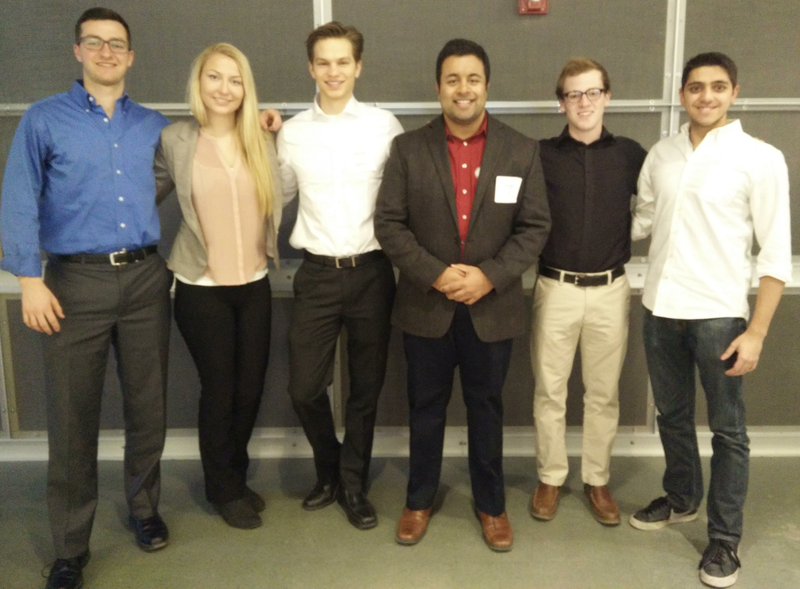 For its commercial potential, the team of Raj Vinjamuri, Michael Luka, and Sid Muthal were awarded the inaugural Lextech Most Marketable award at the Senior Design ceremony in the fall. The Corvae patch is designed to transmit a color-coded indicator of patient status to represent the severity of action required of healthcare professionals in real-time. Improving the patient experience is truly at the heart of what the startup Corvae is doing. The startup, which started as a fall 2014 Senior Design project in ECE 445, is trying to get its Corvae patch for heart monitoring into hospitals and clinics all over America. The device’s function was specifically designed for electrocardiograms (ECG), which record the electrical activity of the heart over a period of time. For its commercial potential, the team of Vinjamuri, Michael Luka, and Sid Muthal were awarded the inaugural Lextech Most Marketable award at the Senior Design ceremony in the fall. The Corvae patch is designed to transmit a color-coded indicator of patient status to represent the severity of action required of healthcare professionals in real-time. The lightweight device is inserted into a hospital gown, from which it could send information wirelessly through a mobile app directly to doctors—enabling remote care. This allows patients, nurses, and doctors to easily understand the condition and expedite the course of action. The inspiration for the idea came from Muthal’s own personal experience with being a hospital patient. He knew how cumbersome it could be for nurses and patients to be informed, so he wanted to find a way to make the process smoother for everyone involved. “I had a lot of experience of being a patient in a hospital, and being an ECE major, I knew that there were a lot of opportunities to increase the patient’s comfort level and improve the overall workflow,” Muthal said. After a general consensus was reached about their goal for the project, the team members each contributed his own particular engineering specialty to make the project a reality. Luka was responsible for electrocardiogram circuit design; Muthal developed the algorithm to detect heart signals; and Vinjamuri designed the hardware to be smaller than anything currently on the market. To finance the product, the team also applied for and received contributions from the Leung Student Venture Fund, which Vinjamuri said helped keep personal costs down. Probably, the hardest part for the team has been taking the product and making it into an actual business. So in an effort to make a viable business, the team has sought out the help of industrial design students Ryan Brown and Julie Polaski, who have since been named co-founders of Corvae. 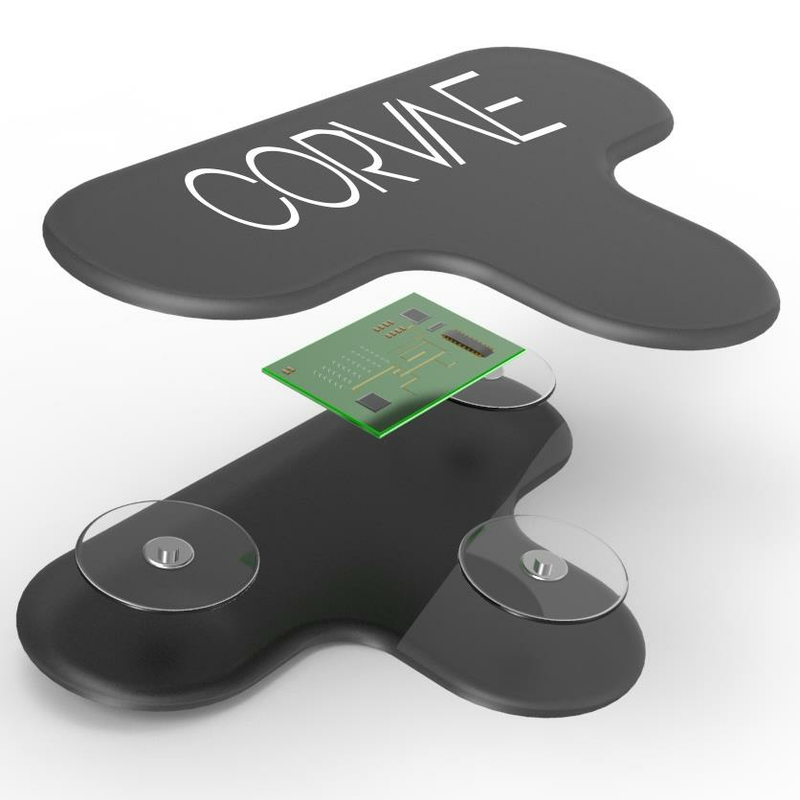 Polaski and Brown have been instrumental for the product development side of Corvae by helping generate the product’s brand and performing market research to find the best fits for the Corvae heart monitor. In addition, the team welcomed Aerospace Senior Jake Dluhy to design the startup’s website and kick-start the app platform. Corvae took its next step toward becoming a viable product when it was named among the 18 finalists (of almost 100 entrants) in the Cozad New Venture Competition, which concluded April 24 with the team winning some legal services. Luka believes the Cozad process has given him and his partners a better idea of what it would take to run a startup. Despite being committed to Corvae’s growth, the team members have also had to consider their post-graduation plans. Luka and Vinjamuri will be taking industry jobs, while Muthal will return to Illinois for graduate school. They plan to split time between work, school and Corvae alongside Brown and Polaski, who will be participating in Illinois' Summer Entrepreneurship Fellowship incubator this summer. While it will be difficult at times for the group to coordinate with other obligations in the way, the team has no intention of quitting. Vinjamuri believes that the environment at Illinois has enabled the group to move this project forward past graduation in hopes of seeing Corvae in medical facilities everywhere.